Many new investors who backed up the truck on stocks when the S&P 500 went parabolic are licking their wounds right about now. And for those who borrowed money to bet on the highest of flying growth stocks, it feels like salt has been rubbed into their wounds, no thanks to overly bullish commentary from smart billionaire hedge fund managers saying things like “you’re going to feel stupid” by holding cash at a time when the economy and the markets were both ripping. By actively seeking a short-term forecast, you’re going to add unnecessary stress into your life, and it’s probably going to cause you to panic, potentially causing you to make a rash decision, like selling at a time when folks like Warren Buffett may be backing up the truck. If you’re a new do-it-yourself (DIY) investor who’s dipped your toe into the investment waters after last year’s volatility-free ride, you’re probably feeling sick to your stomach and regretting your decision to invest at such a late stage in the market cycle. I know it may seem hard, but try to focus on where we’re headed next, rather than focusing on the “mistakes” you’ve made, which will eventually turn out to be minor hiccups in the grander scheme of things. When it comes to investing, it’s all about your long-term mindset, and if you’re not in the right state of mind, or if you’re thinking too short term, you’re going to hold yourself back from capitalizing on the mistake of others. 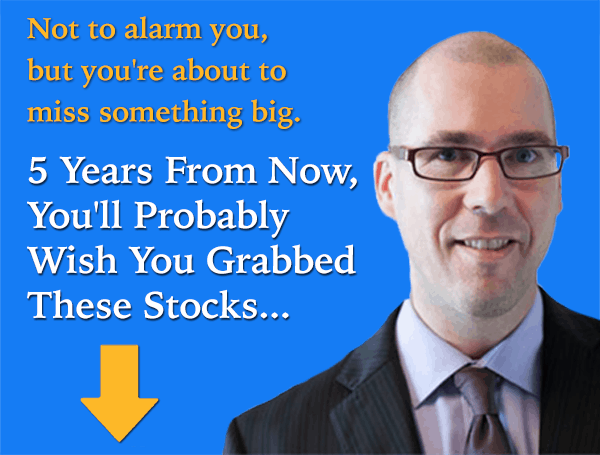 Stocks are being ditched like they’re going out of style right now, and if you decide to follow the herd, you’re going to lock in your paper losses and be left with a bad taste in your mouth that may last forever! This will cause you to miss out on decades worth of positive market returns, all because of a dip that’ll end up being dwarfed by big moves that’ll be made over the next decade and beyond. Don’t Panic. Stay in the game! If you’ve ever played goaltender position, then you’ll know that you need a healthy mindset to thrive. Goals against happen, and if you fret on them for the rest of the game, you’re going to struggle to make saves on the shots that’ll come at you later on. After you’ve been scored on several times, it becomes less about your abilities and more about your mental state. If you’re thinking about the four goals you’ve allowed in the last period, you’re going to crumble and eventually be pulled out of the net before the game is over. Investing is the same game. The dips are the goals that you’ve already let in. And if you’re a long-term investor like Warren Buffett and Prem Watsa, you’re going to be focused on how you’re going to stop the shots that are coming up, instead of replaying the mistake you’ve made over and over until you’re pulled out of the game entirely. New goaltenders and investors may struggle with their emotions initially, but in time, you’ll be less “fazed” by turbulent times, and this will allow you to narrow your focus on areas in the market where the most significant opportunities lie. Here at the Motley Fool, we’re your coach, and we’re trying to keep you in the game. Regretting past moves isn’t going to do you any good, so if you’re feeling like a fool, the best thing you can do is double down on your foolishness by being a buyer of stocks in spite of your distaste for them, because that’s where the real money will be made in the grander scheme of things. If you find you’re overexposed to cyclical stocks that have been dropping like stones at a much greater magnitude than the broader markets, then you may want to consider upping your exposure to low-volatility “one-stop-shop” investments like BMO Low Volatility CAD Equity ETF (TSX:ZLB), so you’ll be less fazed by the turbulent times. It’s less about the downside protection that such an ETF will provide you and more about dampening the volatility to a level that won’t make you sick to your stomach, so you can stay in the game and bring it to the next level. Fool contributor Joey Frenette owns shares of BMO Low Volatility CAD Equity ETF.